When Salesforce announced its $300 million acquisition of SteelBrick at the end of last year, one could almost hear the groans from those vendors who are both SteelBrick competitors and a part of the broader Salesforce ecosystem. SteelBrick is a vendor that offers configure-price-quote (CPQ) functionality. Essentially what that means is that it allows organizations to offer highly customized pricing and quoting to different customers. Increasingly competitive edge can be obtained by offering the right product to the right customer at the right price point, instead of manual guesswork. CPQ vendors all offer the holy grail of automated and customized pricing across an organization's customer list. Salesforce's rationale for the acquisition should be obvious -- increasingly, simply offering organizations customer relationship management software isn't enough. Zach Nelson, the CEO of cloud ERP vendor NetSuite, has often poured scorn on Salesforce's platform suggesting that customer engagement is nice and all, but is no replacement for transactional-level intelligence. The ERP vendors generally point to their solutions, which capture and catalog the day-to-day lifeblood of an organization, revenue, as offering far higher value. So Salesforce needed to do something. While it is true that it has a host of CPQ vendors in its ecosystem, it was becoming increasingly obvious that offering this functionality by way of an add-on simply wouldn't cut it -- CPQ needs to be a first-party, native platform offering. Which would make sense, and would have been a simple and noncontroversial piece of news were it not for those aforementioned ecosystem partners. There are a whole bunch of vendors who are going to feel bruised, to say the least, by this deal. So who is likely to be sporting ruffled feathers now? First and most obvious is Apttus. As I wrote last year when Salesforce participated in SteelBrick's Series B funding round, Apttus, in particular, has invested heavily in its Salesforce relationship -- I’ve been to a number of functions held around Dreamforce where Apttus was spending up large to articulate its Salesforce love. That's not so surprising for a couple of reasons: first because Apttus is built upon Salesforce's platform, and second because Salesforce also led Apttus' Series B. A ball in each court, it seems. To be fair, Apttus is in a slightly different space from SteelBrick, focused, as it is, on larger enterprise solutions at the top end of town. SteelBrick is targeting more of the midmarket-and-smaller companies. Notwithstanding this fact, I previously pointed out that it's unusual to have a venture fund two companies that directly compete (it would be very interesting to be a fly on the wall within Salesforce Ventures). I hope Salesforce has some good processes in place to keep inside information from the two companies at arm's length. With the acquisition it seems to only be a matter of time before SteelBrick, under its new Salesforce masters, decides to offer CPQ functionality for all sizes of organization -- it is at that point that Apttus starts to feel some real pain. But Apttus isn't the only affected party here. I covered Vlocity, a specialist Salesforce service provider that is focused on building highly specific vertical offerings on top of the Salesforce platform. That doesn't sound like a conflict, but consider that some of those verticals have a requirement for CPQ functionality and you have a bit of potential tension. Similarly Kenandy, a manufacturing software vendor that is also built on top of Salesforce, must be feeling a bit of a squeeze as a part of its unique proposition is smothered by the new Salesforce offering. Even more so given the fact that it introduced its own CPQ functionality only a few short weeks before this deal was announced. Other vendors should be more worried: Zuora pretty much coined the term "subscription economy" and has been at the forefront of articulating the importance of subscription and billing services of a flexible nature to deliver increasing business agility. But billing and subscription are, to an extent, the other side of the coin from CPQ. How long before SteelBrick decides to eat some of Zuora's lunch as well? While some have suggested that this is an indication that Salesforce is strongly moving from a functional platform to a verticalized business solution, I'd not be quite so bold. It seems that Salesforce is looking, in the short term at least, to keep a foot in both camps. 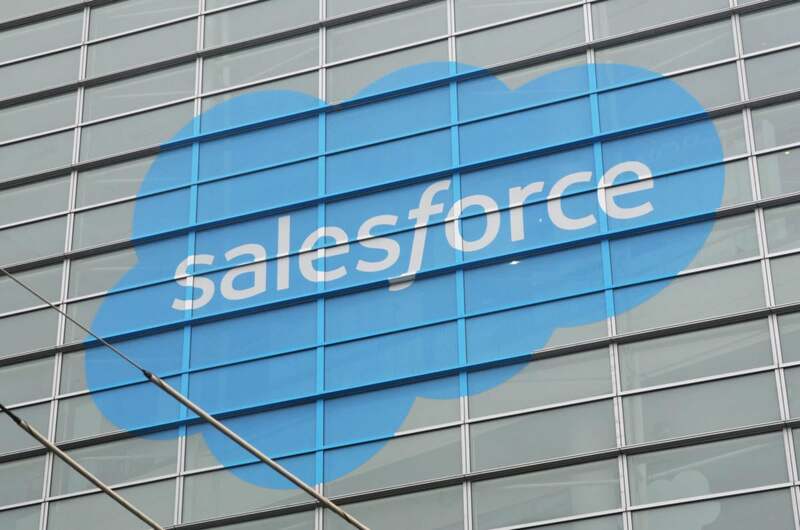 One thing is for sure, however: There will be some frayed nerves after this news and an assortment of vendors will be increasingly wary of Salesforce and its aspirations. One suggestion, somewhat out of left field but perhaps not given this news, is that FinancialForce.com may soon graduate from simply being a solution built on the Salesforce platform (and, incidentally, with an investment stake from Salesforce) to being a full-fledged Salesforce product. Much depends on Salesforce's intention with regard to SMB vs. enterprise and, by extension, FinancialForce's ability, or otherwise, to move up the food chain into larger-size enterprise. Either way, a fascinating deal and one which will have repercussions into the future.